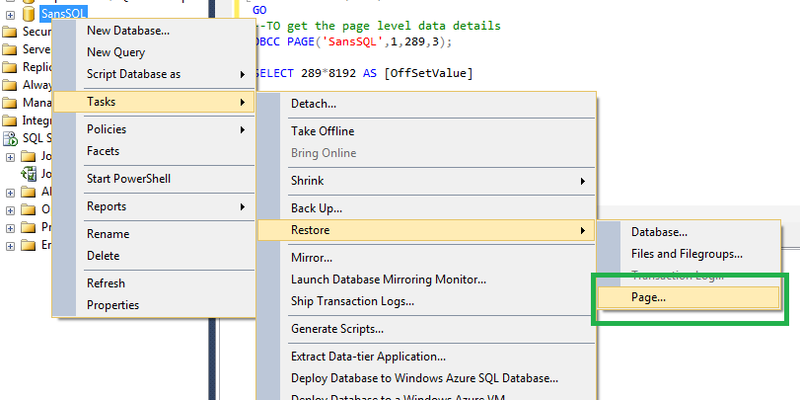 In one of my previous posts "Page Level Restoration", I had explained how to perform a page level restoration for a database. The whole procedure was using the T-SQL commands. 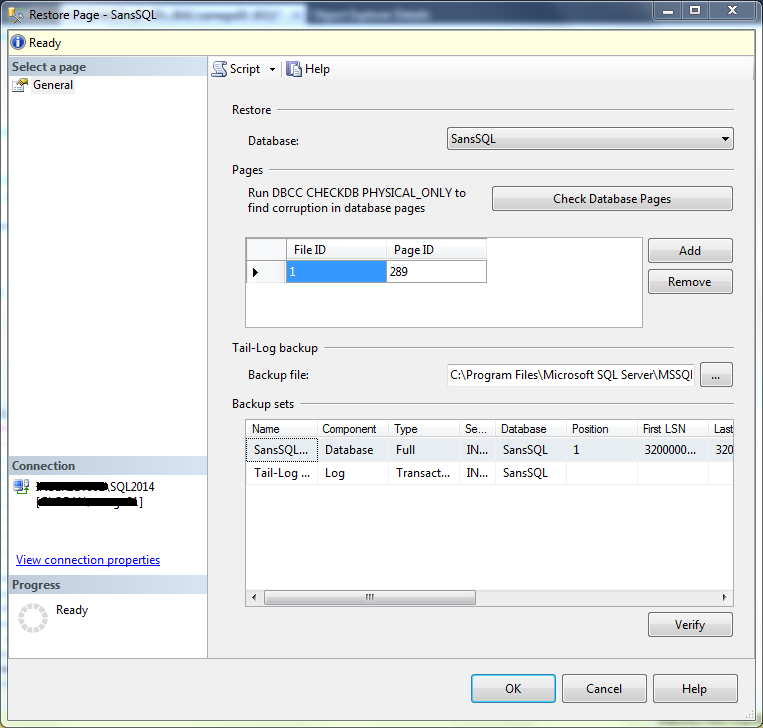 From SQL Server 2012 onward, we have an GUI to perform Page level restoration which makes life easy.